Someday I’m going to Brazil. It is on my travel bucket list, after all. We used to plan Summer holidays with friends in that beautiful South American country. Sadly, they have yet to come to fruition. However, no matter where I reside, I seem to always have a Brazilian living in close proximity. That’s how I learned that sweetened condensed milk is actually the sixth food group in this land, pretty handy for what I’m about to introduce you to. When I think of Brazil, I think of beaches, bright colors, and music with a beat. I think of loud conversation and lots of people. I never really associated passion fruit with Brazil, but I now realize that it was because I was so undereducated. This country brims with people full of passion, so it’s no surprise that one of the best desserts that has passed my lips made by Brazilians is passion fruit mousse. I called over one of my very best Brazilian friends for a cooking lesson on how to make it, not realizing it was as easy as 1-2-3, which happens to be the number of ingredients this delicacy contains. Prepare to be amazed, but be warned. My kids think this should be a staple in our fridge. Perhaps they need to learn to make it themselves! 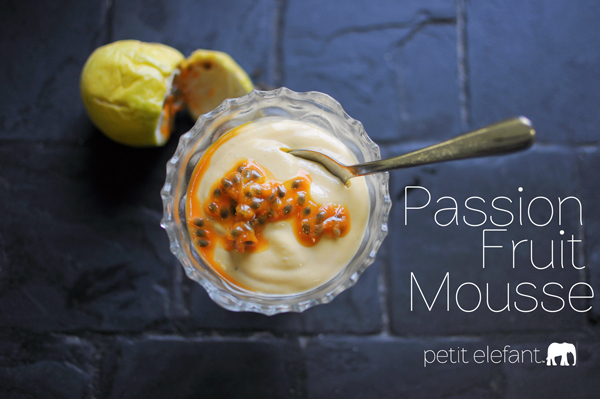 3 ingredient passion fruit mousse that will wow your tasters! Pour sweetened condensed milk into blender. Fill that can with whipping cream and pour it in. Then fill the can with passion fruit juice concentrate and pour it in. Blend all ingredients together and then pour in a glass dish or dessert cups. May be eaten right away but is best left to set in the fridge for a couple of hours. Garnish with passion fruit seeds if desired. 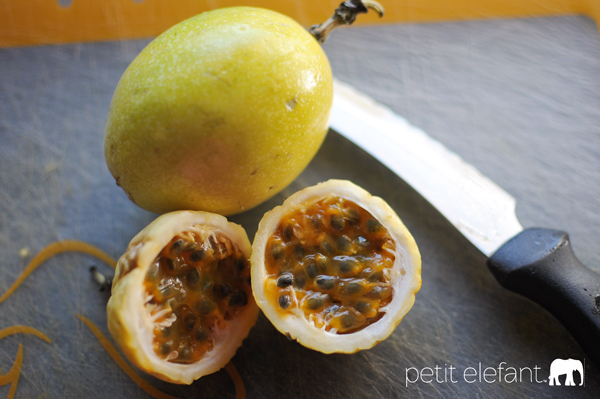 *To make passion fruit juice concentrate, slice passion fruit in half and scoop pulp into blender. Blend for about 30 seconds, giving enough time for the juice to separate from the seeds. Don’t blend too long or you will blend all the seeds. Pour through a fine mesh strainer. And that, my friends, is how to make the easiest, tastiest, most refreshing dessert hailing from the beautiful country of Brazil. Enjoy. I LOVE passion fruit! But living in Georgia, we don’t see it too often around here. I love getting it when is available here! I love this! I don’t remember where I first found the recipe but having grown up in Ecuador and then lived in Indonesia, I have a fondness for passion fruit! (Maracuya in Ecuador and Markisa in Indonesia!) I have made this several times and it’s super tasty! I’ve also put the resulting mousse into the ice cream maker to make passion fruit ice cream and it was delicious, too! Oh, and I use the frozen Goya passion fruit puree to make mine :-) I have found it at Walmart for anyone here in the States who might be interested!